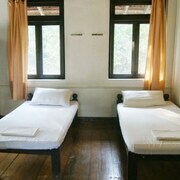 Situated in Vagator, this hotel is within 3 miles (5 km) of Chapora Beach, Vagator Beach and Anjuna Beach. Saturday Night Market is 2.8 mi (4.5 km) away. 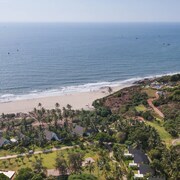 Situated near the beach, this boutique hotel is within 1 mile (2 km) of Chapora Beach and Vagator Beach. Anjuna Beach is 2.2 mi (3.6 km) away. 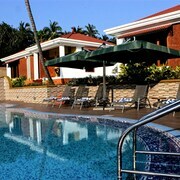 Nestled on the beach, this Vagator hotel is within 1 mi (2 km) of Chapora Beach and Vagator Beach. Anjuna Beach is 2.1 mi (3.4 km) away. The hotel was fabulous.. But there should be an improvisation from the same menu system to Buffet system as they provide each day same breakfast. Nicely positioned with direct access to the beach. Close to some nice bars etc. Breakfast a bit samey and bland for a 4 star rating . The fact that you have to pay extra for filter coffee instead of instant I thought a bit petty. Because of its location beware if you are not a party goer the noise that goes on until the morning ( psycodelic trance music everywhere ) will stop you sleeping , we had to take sleeping pills but you will need ear muffs. Don’t rely on when you ask for something it will happen, get it confirmed again and again. 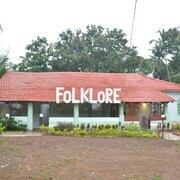 This is true for all of Goa. The staff are very friendly and helpful. 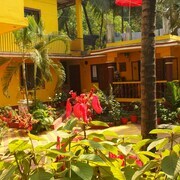 Budget-minded travellers will find good deals in Vagator, and many visitors are sure to appreciate the gardens. 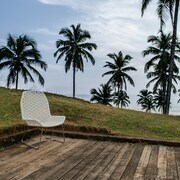 Tourists can also enjoy the city's seaside and coffee shops. 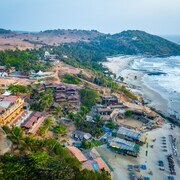 Around the area, top sights include Anjuna Beach, Vagator Beach and Baga Beach.